This is a rare curio that I have just come across and the story of the films survival intrigued me. It had been assumed lost with no copies surviving until an American found one in some rubbish. It was later shown in the village where it had been filmed. What a great Story !!! ‘Children’s Film Foundation’ released in 1954. An American film fan found a copy of this film which was thought to have been lost, in a rubbish skip outside a Chicago television studio. He sold it to a UK enthusiast who showed it for the first time in fifty years on 8 March 2002 in the village hall at Goudhurst, Kent where it had been originally filmed nearly 50 years before. 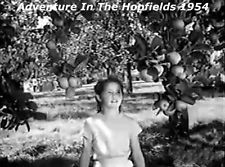 Beautiful movie from CFF, for what was just a low budget children’s film shown at Saturday Morning Pictures. Melvyn Hayes says that he was paid £24 a week for this film which was a good amount in those days. 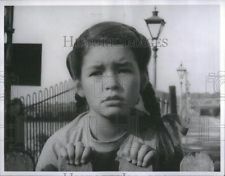 Mandy Miller had already been in a major British film ‘Mandy’ with Jack Hawkins and Phyllis Calvert and Jane Asher had one of her first roles as did Anthony Valentine. I bet they had loads of fun making this. Interesting that the Director was John Guillerman who went on to films such as The Blue Max and The Towering Inferno as well as a couple of Tarzan films in his career. Thank you. I do have a copy of the DVD and I will try to have a copy of this done for you. It is very good.